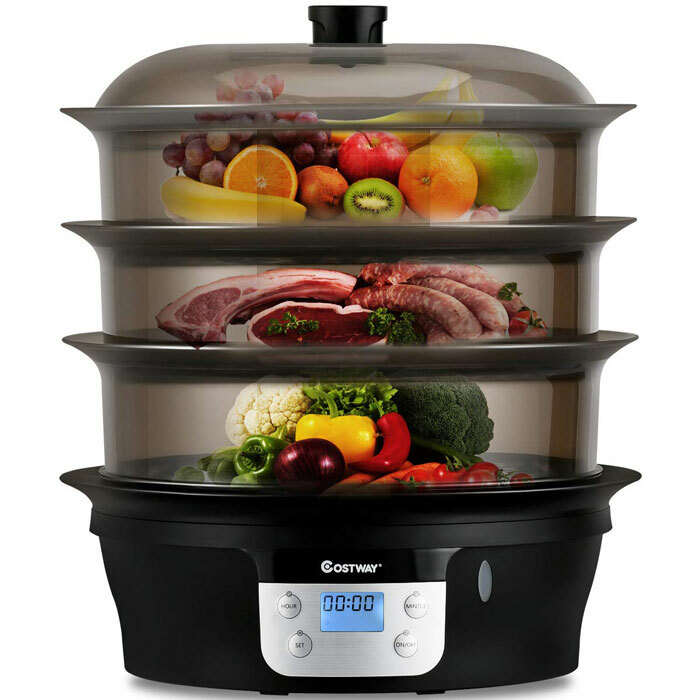 Meet the Costway 3-Tier Steamer: a versatile steamer with 20-quart capacity that lets you make delicious treats for your family. 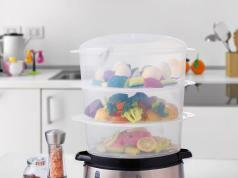 It has 3 stackable baskets for your veggies, fish, egg, rice, and everything in between. 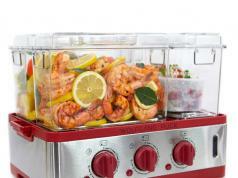 The steamer comes automatic shut-off and timer functionality. It delivers 1000W of power. 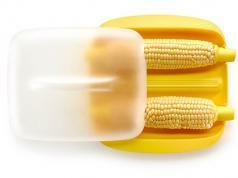 These steamers are made from food-safe materials. You can get yours for under $60 at this time.